Is Jeffrey Bruce Livingston Gay ? Jeffrey Bruce Livingston is a husband of a general assignment reporter for Fox News Channel as well as a political commentator and co-host on a program named "The Cycle" aired on MSNBC, Abby Huntsman. Jeffrey is a son in law of Jon Huntsman, Jr. and Mary Kaye Huntsman. There is not much information about him on social sites as he is famous because of his wife. Jeffrey Bruce Livingston was born on October 4, 1985, in Dunedin, Florida. His parents are Deidre Sharp Livingston and Bruce V. Livingston. His parents are owners of a company that manufactures and sells dental equipment. Jefferey completed his graduation from Wharton School, University of Pennsylvania. He specialized in Finance and Management. Jeffrey's professional career started at the age of 23 after getting associated with McKinsey & Company. He worked as a business analyst for McKinsey & Company from 2008. It is a global consulting organization that holds positions in McKinsey's Beijing and New York offices. Jeffrey Bruce Livingston is a Business Analyst. Initially, he got placed in New Jersey and was later moved to China in 2010 as he got moved to the Beijing branch. Currently, he works for KKR's New York office. He is a member of the Financial Services and Hospitality & Leisure industry teams and the principal of private equities for KKR. Jeffrey Bruce Livingston is a business analyst for McKinsey & Company. Considering his career growth, he might have an estimated net worth of millions. His wife, Abby Huntsman's has an estimated net worth of $20 million. She earns an annual income of $3 million. Over the past few years, Abby's worth has hiked by around 23%. Abby owns a few of the best luxury cars in the world. These include Mercedes Benz, Alfa Romeo, and BMW. Meanwhile, the estimated value of her real estate property is around $2.4 million. Jeffrey is married to Abby Huntsman. The couple tied the knot on 28th August 2010 at Washington National Cathedral among close friends and family. The marriage was officiated by Reverend Samuel T. Lloyd III. The pair is college sweethearts who dated each other for a long time before taking their wedding vows. They met at the University of Pennsylvania and subsequently graduated together. Jeffrey and Abby welcomed their first child, a daughter named Isabel Grace on 29th November 2017. "Our little angel has arrived! Never knew our hearts could be this full. We love you so much Isabel Grace." 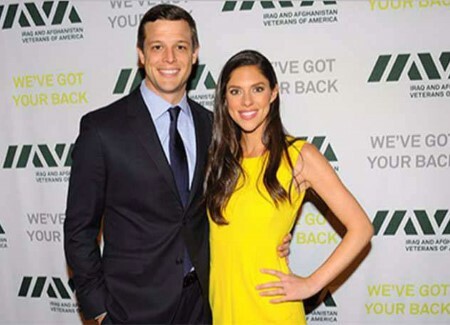 Jeffrey's spouse, Abby Huntsman is a general assignment reporter for Fox News Channel. She previously worked as a political commentator and co-host on MSNBC's The Cycle. She is the daughter of 2012 presidential candidate Jon Huntsman and Mary Kaye Huntsman. Abby graduated from the University of Pennsylvania in 2008, with a degree in Philosophy, Politics, and Economics. Meanwhile, there is no information about Jeffrey's affairs on social sites. The couple is living a happily married life. The 32-year-old View co-host Huntsman revealed that she's pregnant with twins on 2nd January 2019. Well, the happy surprise left her husband on the floor in shock. "I think he saw two sacs in there and I could see it on his face. He turned white, and then when the doctor told us, he fell. Another doctor had to come in, and they were wiping him down with towels and giving him sugar. I was sitting there with my feet still in the straps. I’m like, ‘This is ridiculous. I’m the one that has to physically do this.’"
She shared the blessed news via Twitter post. She posted an interview with People. Despite the fact, the mother-to-be is flaunting her baby bump via Instagram posts and she looks so happy and delighted. 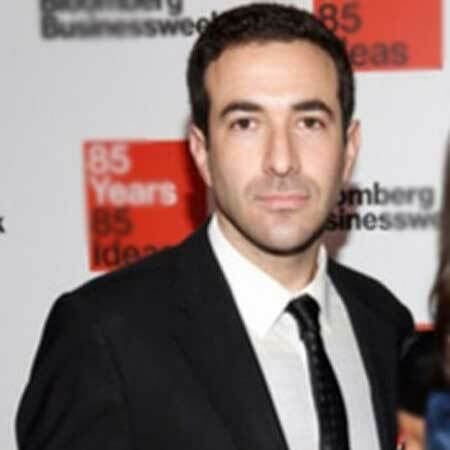 His wife is a general assignment reporter for Fox News Channel as well as a political commentator and co-host on a program named The Cycle aired on MSNBC .